The next BRICS summit, in Goa, is less than two months away. Compared to only two years ago, the geopolitical tectonic plates have moved with astonishing speed. Most BRICS nations are mired in deep crisis; Brazil’s endles political/economic/institutional debacle may yield the Kafkaesque impeachment of President Dilma Rousseff. BRICS is in a coma. What's surviving is RC: the Russia/China strategic partnership. Yet even the partnership seems to be in trouble — with Russia still attacked by myriad metastases of Hybrid War. The — Exceptionalist — Hegemon remains powerful, and the opposition is dazed and confused. Slowly but surely — see for instance the possibility of an ATM (Ankara-Tehran-Moscow) coalition in the making — global power continues to insist on shifting East. That goes beyond Russia's pivoting to Asia; Germany's industrialists are just waiting for the right political conjunction, before the end of the decade, to also pivot to Asia, conforming a BMB (Berlin-Moscow-Beijing) coalition. Germany already rules over Europe. The only way for a global trade power to solidify its reach is to go East. 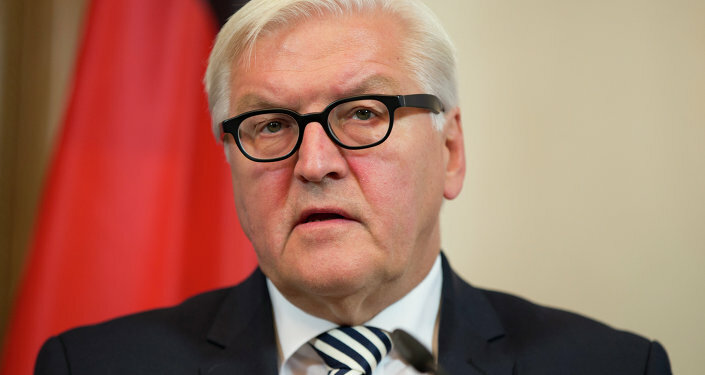 NATO member Germany, with a GDP that outstrips the UK, Canada, Australia and New Zealand, is not even allowed to share information with the "Five Eyes" secret cabal. This inexorable movement East underscores all the interconnections — and evolving connectivity — related to the New Silk Roads, the Shanghai Cooperation Organization (SCO), the BRICS's New Development Bank (NDB), the Asian Infrastructure Investment Bank (AIIB), the Eurasia Economic Union (EEU). 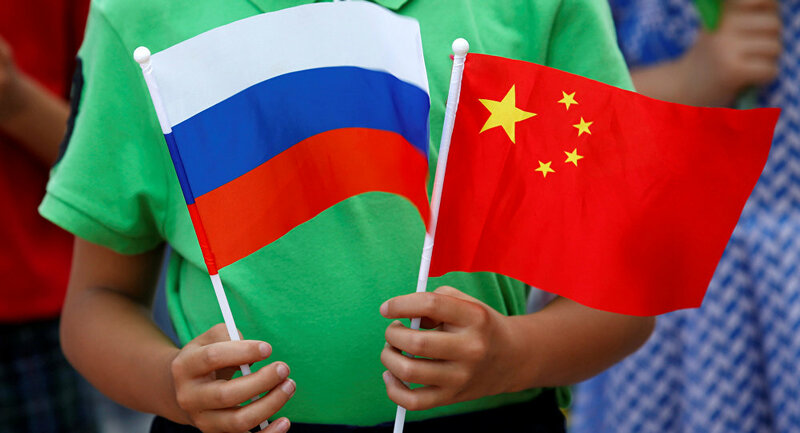 The crux of RC, the Russia-China strategic partnership, is to make the multipolar, post-Atlantic world happen. Or, updating Ezra Pound, to Make It New. Russia's pivot to Asia is of course only part of the story. The core of Russia's industries, infrastructure, population is in the west of the country, closer to Europe. BMB would allow a double pivot — simultaneously to Europe and Asia; or Russia exploiting to the max its Eurasian character. Not accidently this is absolute anathema for Washington. Thus the predictable, ongoing no holds barred exceptionalist strategy of preventing by all means necessary closer Russia-Germany cooperation. overwhelming majority of Russia's future customers — energy and otherwise — are located. It will be a long, winding process to educate Russian public opinion about the incalculable value for the nation of Siberia and the Russian Far East. Yet that has already started. And it will be in full fruition by the middle of the next decade, when all the interpolated New Silk Roads will be online. "Containment" of RC will continue to be the name of the exceptionalist game — whatever happens on November 8. As far as the industrial-military-security-surveillance-corporate media complex is concerned, there will be no reset. Still the Hegemon will be in trouble to contain both sides of RC simultaneously. NATO does not help; its trade arm, TPP, may even collapse in the high seas before arriving on shore. No TPP — a certainty in case Donald Trump is elected in November — means the end of US economic hegemony over Asia. Hillary Clinton knows it; and it's no accident President Obama is desperate to have TPP approved during a short window of opportunity, the lame-duck session of Congress from November 9 to January 3. Japan's imperial instincts were reawakened by Shinzo Abe. Yet hopeless economic stagnation persists. Moreover, Tokyo has been prohibited by the US Treasury Dept. to continue unleashing quantitative easing. Moscow sees as a long-term objective to progressively draw Japan away from the US orbit and into Eurasia integration. Compared to Russia's superior high-tech weaponry, NATO is a kindergarten mess; not to mention that soon Russian territory will be inviolable to any Star Wars-derived scheme. China will soon have all the submarines and "carrier-killer" missiles necessary to make life for the US Navy hell in case the Pentagon harbors funny ideas. And then there are the regional details — from Russia's permanent air base in Syria to military cooperation with Iran and, eventually, disgruntled NATO member Turkey. No wonder such exceptionalist luminary ideologues as Dr. Zbig "Grand Chessboard" Brzezinski — foreign policy mentor to President Obama — are supremely dejected. When Brzezinski looks at progressive Eurasia integration, he simply cannot fail to detect how those "three grand imperatives of imperial geostrategy" he outlined in The Grand Chessboard are simply dissolving; "to prevent collusion and maintain security dependence among the vassals, to keep tributaries pliant and protected, and to keep the barbarians from coming together." Those GCC vassals — starting with the House of Saud — are now terrified about their own security; same with the hysteric Baltics. Tributaries are not pliant anymore — and that includes an array of Europeans. The "barbarians" coming together are in fact old civilizations — China, Persia, Russia — fed up with upstart-controlled unipolarity. Unsurprisingly, to "contain" RC, defined as "potentially threatening" (the Pentagon considers the threats are existential) Brzezinski suggests — what else — Divide and Rule; as in "containing the least predictable but potentially the most likely to overreach." Still he doesn't know which is which; "Currently, the more likely to overreach is Russia, but in the longer run it could be China." Hillary "Queen of War" Clinton of course does not subscribe to Brzezinski's "could be" school. After all she's the official, Robert Kagan-endorsed, neocon presidential candidate. She's more in tune with this sort of wacky "analysis". So one should definitely expect Hillary's "project" to be all-out hegemony expansion all across Eurasia. Syria and Iran will be targets. Even another war on the Korean Peninsula could be on the cards. But against North Korea, a nuclear power? Exceptionalistan only attacks those who can't defend themselves. Besides, RC could easily prevent war by offering some strategic carrots to the Kim family. In many aspects, not much has changed from 24 years ago when, only three months after the dissolution of the USSR, the Pentagon's Defense Planning Guidance proclaimed. "Our first objective is to prevent the reemergence of a new rival…This requires that we endeavor to prevent any hostile power from dominating a region whose resources would, under consolidated control, be sufficient to generate global power. These regions include Western Europe, East Asia, the territory of the former Soviet Union and southwest Asia." Talk about a prescient road map of what's happening right now; the "rival", "hostile" power is actually two powers involved in a strategic partnership: RC. Compounding this Pentagon nightmare, the endgame keeps drawing near; the next manifestations and reverberations of the never-ending 2008 financial crisis may eventually torpedo the fundamentals of the global "order" — as in the petrodollar racket/tributary scam.